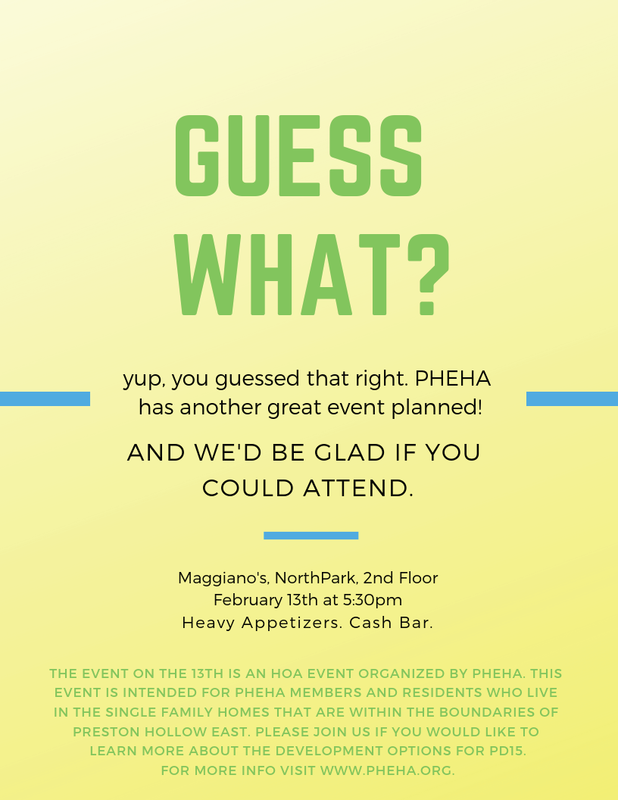 This event is an HOA event organized by PHEHA. It is intended for PHEHA members and residents who live in the single family homes that are within the boundaries of Preston Hollow East. There is some misinformation circulating in our community from anonymous sources. Get the facts from local experts not from anonymous sources. City staff and the developers will be speaking at this event and available for Q/A. Please join us if you would like to learn more about the development options in the PD.